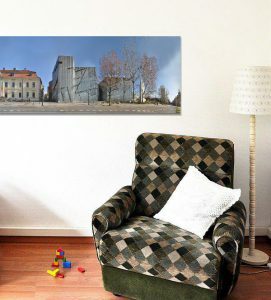 The Lindenstrasse in Berlin Kreuzberg with the Jewish Museum. 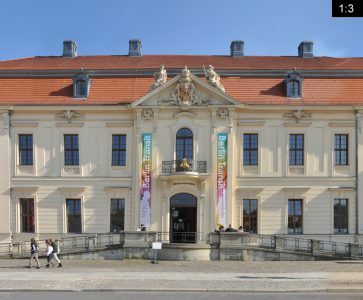 The baroque Collegienhaus in the centre is now the entrance to the Jewish Museum and still the oldest existing building in Berlin-Kreuzberg. 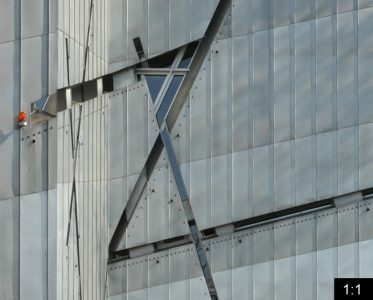 The modern museum on the right was designed by Daniel Libeskind and its outline as well as the expressionistic design resembles a cracked star of david. 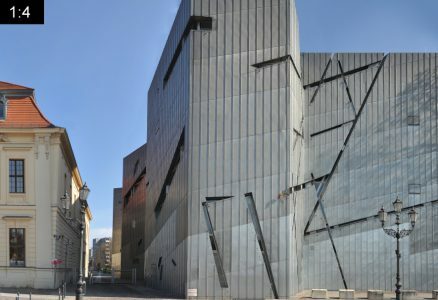 It is the biggest jewish museum in europe. The narrow and peaked building finnishing of the museum on the right is the Holocaust-Tower, a nightmarish room without windows but an open roof. 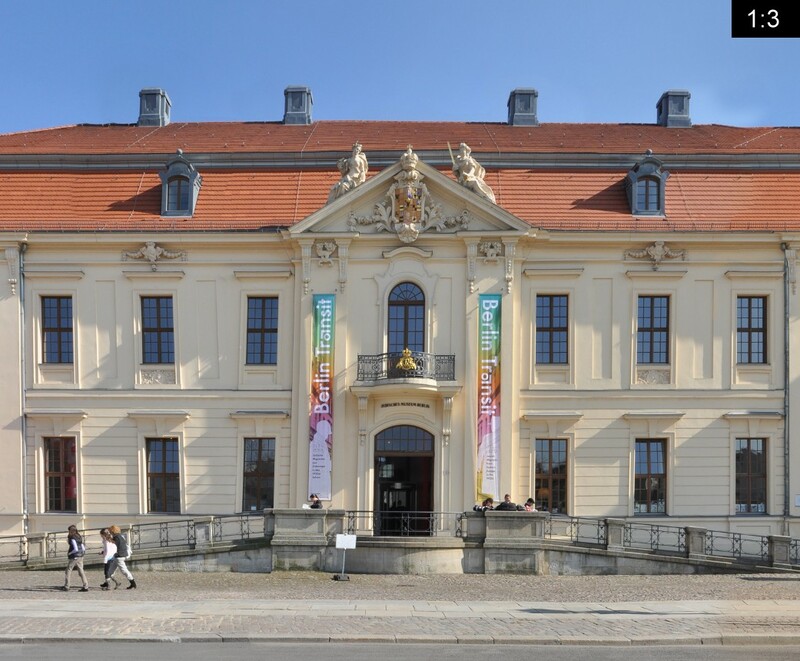 On the far left in the panorama you see the old headquarter buildings of the Victoria insurance company.